Making new friends in a foreign country can be a daunting experience. But not to worry. At Wittenborg University, the student society, SWIFT, organises many interesting and fun activities for international and Dutch students to meet and mingle. 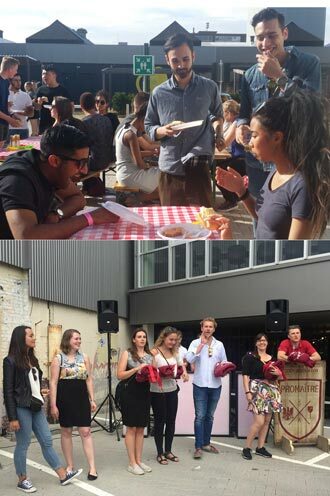 Today, the Wittenborg Student Society (known as SWIFT) organized a cultural event at a local bar, in Apeldoorn. Students brought traditional (from their own cultures) home-cooked food and some even dressed in their own traditional dress.